Jessica is currently a postgraduate student at the RNCM where she is taught by Louise Winter and holds a foundation scholarship. A biochemistry graduate with an MSc in Control of Infectious Disease Jessica received an Exhibition Music Award, whilst an undergraduate at Imperial College, to assist with her vocal studies. At the RNCM Jessica has participated in a masterclass with Christine Brewer and was recently a finalist in the Frederic Cox competition. Jessica has recently performed the role of Pamina in London Youth Opera’s production of Magic Flute and she will perform the role of Dew Fairy in Hansel and Gretel for the company in December 2011. 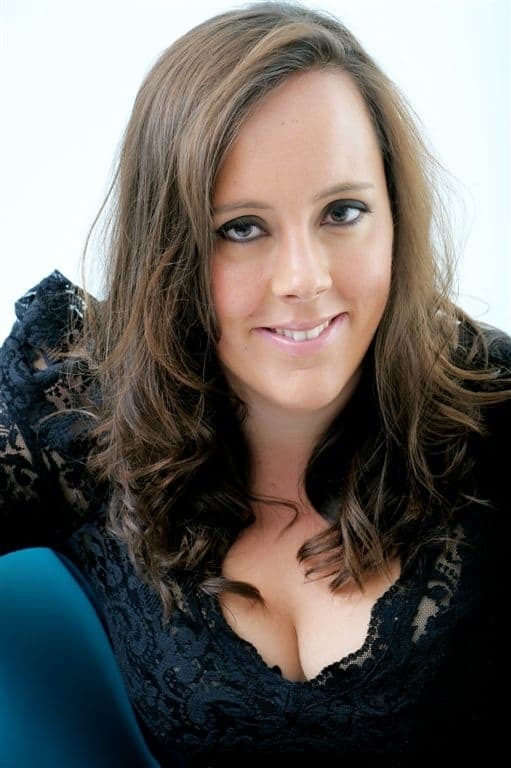 In opera scenes Jessica has performed Marenka from Smetana’s The Bartered Bride, Helena in A Midsummer Night’s Dream by Britten, Anne Truelove from Stravinsky’s Rake’s Progress and Countess Almaviva from Mozart’s Marriage of Figaro. Other operatic roles have included Dido in Purcell’s Dido and Aeneas and Virtue in Handel’s The Choice of Hercules. On the concert platform, Jessica has performed as a soloist with various ensembles and choral societies in London and further afield. Her oratorio repertoire include Mozart’s Solemn Vespers, Mass in C minor and Requiem; Bach’s St. John Passion and B Minor Mass; Brahms’ Requiem; Poulenc’s Gloria; Vivaldi’s Gloria; Fauré’s Requiem; Duruflé’s Requiem; Mendelssohn’s Hymn of Praise; Handel’s Messiah and Haydn’s Creation and Nelson Mass;. Recitals have included Bachianas Brasileiras by Villa-Lobos and songs by Britten and Malcolm Arnold. In October 2010 Jessica returned to the Malcolm Arnold Festival to give a song recital of works from the composer’s musicals Purple Dust and Parasol and in 2012 she will perform the role of Miranda in a world premiere of the Arnold’s opera The Dancing Master for the festival. Jessica has also worked as a choral conductor in London, where she directed the Imperial College Chamber Choir for four years and was acting director of the choirs of St Paul’s Girls’ School from 2010-11. She has also worked as with The College of Law Choir in Bloomsbury and the Chiltern Choir in Hertfordshire. As a choral singer Jessica works regularly in London and was a member of the Rodolfus Choir and National Youth Choir of Great Britain. Jessica is the founder member of Harmaphrodite, a talented and dynamic vocal octet with a broad repertoire encompassing repertoire from madrigals to jazz and with whom she has performed and toured regularly over the last seven years.